The Mario Lopez workout focuses on supersets, interval training, ab work, and a healthy diet. To stay in shape, the Mario Lopez workout is about finding things he enjoys doing. In his book, he says that if you enjoy what you’re doing, you’re motivated to perform at a much higher level. The supersets that the Mario Lopez workout uses include pushing and pulling exercises. Supersets, in the Mario Lopez workout, mean moves where you go from one exercise to the next without stopping. Mario Lopez says that he does compound supersets. Compound supersets means doing biceps and triceps; chest and back; quads and hamstrings; on the same day. On days when he isn’t lifting, the Mario Lopez workout is full of boxing circuits. 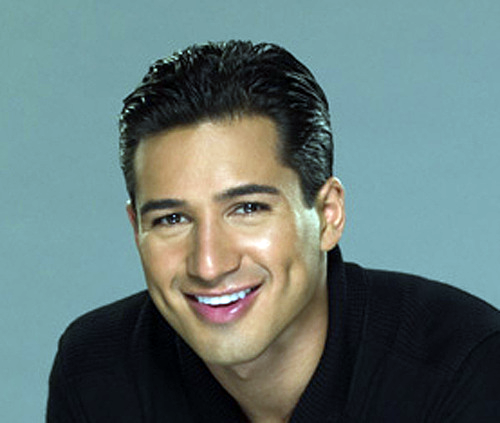 Mario Lopez’s boxing workouts consist of 5 different training drills. Mario Lopez starts all his workouts with a 5 minute warm up. Lopez then does circuit training, before ending with an abs session. The Mario Lopez workout does 12-15 reps per exercise, except for pushups where he does 20. Do each pair of exercises back to back for 3-4 sets, then rest 1 minute. Then, move on to the next superset (next pair of exercises). For his pushups, the Mario Lopez workout uses a Bosu ball. He rests his hands on the flat side of a Bosu ball, so that he works his core, too. Mario Lopez does his bicep curls Zottman style. If you have a kettlebell, you can also do kettlebell swings instead of dumbbells. It simply depends on what equipment you have available. Ab Circuit: 3-4 sets (Do as a circuit, go to failure each set, rest 1 minute, then repeat). The Mario Lopez workout focuses on keeping your core tight throughout each exercise. You want to save it for the very end, because you really want to push yourself. You need your back and core to be working. So, it’s really important that you maintain great form. It takes 20-30 minutes to get through. If you don’t have access to cables, you can sub in Dumbbell Lateral Flexions. The Mario Lopez workout is much like the Ryan Reynolds workout. The main difference is that Ryan Reynolds like to do his ab workouts first, so that gets them out of the way. While, the Mario Lopez workout performs his ab workouts last, to focus on form and pushing himself. Mario Lopez highly suggests joining a local boxing gym. Or, you can buy some of the equipment and do the routine in your own home. Either way, boxing circuits tone your arms, legs, and burn fat fast. For the Bob-and-weave drill, Mario uses a rope. He bobs and weaves while ducking under a rope that’s at about shoulder height. Then, start setting up sets of jab-jab, and jab-jab-hook. Get creative, but always make sure you’re pretending to face a real enemy. For the Mitt drill, it’s great to have a partner to help you. Mario Lopez says it’s important to keep your abs tight throughout this exercise. Exhale as you punch. Like the previous drill, start with sets of jabs. Then, cycle some hooks into the workout. Mario Lopez says that beginners should do 1 minute of each round. Intermediate boxing circuits will go for 2 minutes. For the advanced, do 3 minutes of each circuit. But, no matter what level you’re at, do 2 sets of each. 1 minute rest between each set. Mario Lopez starts all his workouts with a 5 minute warm up. Lopez then does circuit training, before ending with an abs session. The Mario Lopez workout does 12-15 reps per exercise, but does at least 20 pushups. If you don’t have access to cables, you can sub in Dumbbell Lateral Flexions. Sometimes, the Mario Lopez workout even adds Swiss Ball Crunches. Also, Mario Lopez makes sure to keep a journal of everything he does. Writing down a task increases the likelihood of completing it from 20 to 90 percent. As you check off items from your list during the workout, you’ll gain a head of steam by systematically knocking off smaller tasks in route to a killer workout. Only by keeping a journal will you begin to see patterns and repetitions emerging. Every exercise must ne done back 2 back dose dat include the 5 minute Warm-Up & the 30 sprint in the beginning end as well ?????? Do the circuit routine for the just the weight training exercises themselves. The warm-up is only done once, at the start. The 30 minutes of cardio is also only done once, at the end of each workout. Ah man so I’m supposed 2 do ab routine right after the weight training session & den run ?????? That’s how Mario Lopez says he does it, according to his book. However, other actors do abs first. In fact, Ryan Reynolds for Blade Trinity made abs his priority. He did them first, before every weights workout. So, tailor your workout toward your own goals. Find what works for you! Do I go up in weight wen srarting da next round ?????? You don’t have to. Aim for speed, with proper form. Circuit training is more about mixing cardio/lifting. But, if getting bigger is your primary goal, it’s a great idea to increase weight each set. Yes, you can. The benefit would be it’s easier to move from one exercise to the next. The quicker you can finish a circuit set, the better. The only downside is making sure you’re lifting enough weight. If fat burning is your primary goal, this isn’t as much a concern. However, if you’re looking to build muscle as your primary goal, you’ll want to use weights if you can.